We had just left the Canopy Tower in Panama and were driving down the steep winding road when Steve slowed our car down as we approached a truck that was pulled over to the side. The driver was a worker with the Canopy Tower. Steve stopped the car, Beny Wilson, our guide rolled his window down and after the usual “hola!” exchanges I overheard something about army ants. Yeah, I thought. We want to stay clear of those. After thanks and goodbyes Steve drove on until we arrived at a pullout area near the main road and parked the car. There was another group there and everyone seemed excited about the army ants. Which we heard were just a short walk away. Started to seem like the beginning of a movie that turns out disastrous in the end. “They eat the ants?” I asked. No, it turns out. The birds are doing one of two things: They’re either snatching up the bugs that are getting stirred up or they’re stealing the prey from the ants. Smart birds. 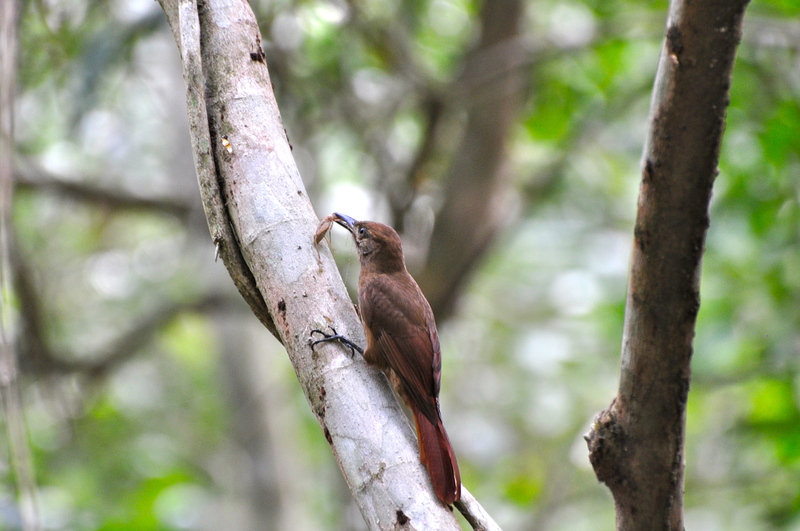 And so that’s why I gave in to the peer pressure (or rather, I didn’t want to seem like a wimp and sit in the car) and went on a little hike into the jungle, walking gingerly over hundreds of ant arteries. Usually, when birding you’ve got your head up looking for birds, and there are countless problems with that already–who hasn’t fallen or tripped because they’re not watching where they’re going? But with army ants you’ve got to keep your eye on the ground and watch out where you step–it’s a big game of “don’t step on the crack or you’ll break your momma’s back” that you played as a kid when walking on a sidewalk. I’m already a klutz and so I was probably a little freaked out. But the one thing that birding has taught me is that it has taken me to a myriad of places I never would have gone to otherwise. Four years ago I would have never considered a trip to Panama. 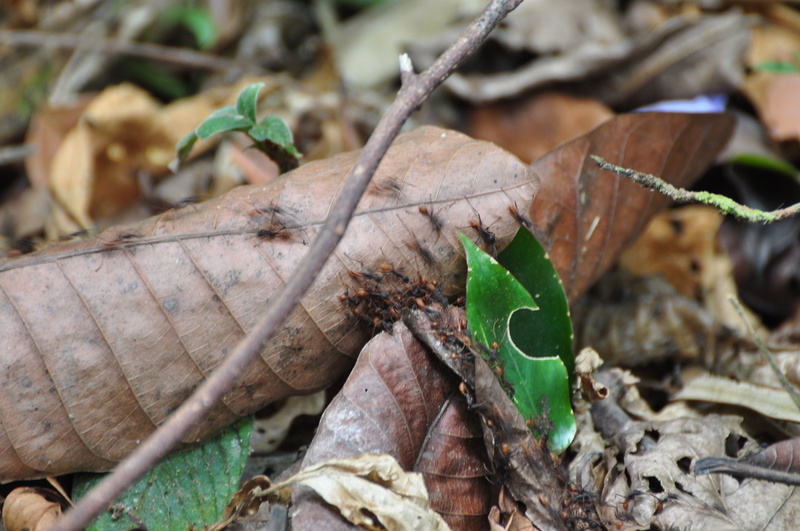 Four months ago I would have never considered walking down a trail into the jungle to search out army ants. I could have sat in the car and missed the whole thing. In fact, I could have not gone to Panama at all. I could have had a vacation where all I did was sit on a beach and do nothing but read a book and listen to my iPod. Now, I’m not saying that’s a horrible thing to do. I work long hours in Corporate America and I need a day or two to unplug from the world and fall into blissful nothingness. Yet, I can’t imagine what kind of story I’d have to tell and not sure exactly what I would have learned that I didn’t know before. Apparently the queen is an egg-laying machine and all the army ants are female except for a few drones who are male and their sole purpose is to mate with the few young female ants which have wings who fly away and create their own ant colonies. An army colony is called a super organism because it acts and behaves as though it were one entity composed of several million subunits. There are several million army ants in one swarm and they send out hunting parties that capture and kill anything they can (spiders, insects, scorpions), and they take them back to the bivouac (temporary nest site) for the larvae and the queen. 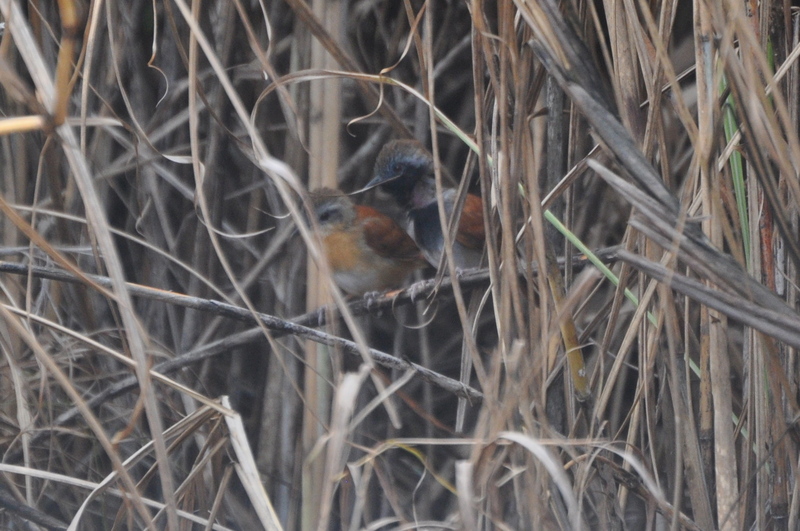 We saw more antbirds than you see posted here, but I didn’t get great shots of all of them. I think I was a little freaked out by the arteries around me and worried I was going to be eaten alive or carried off by the ants. 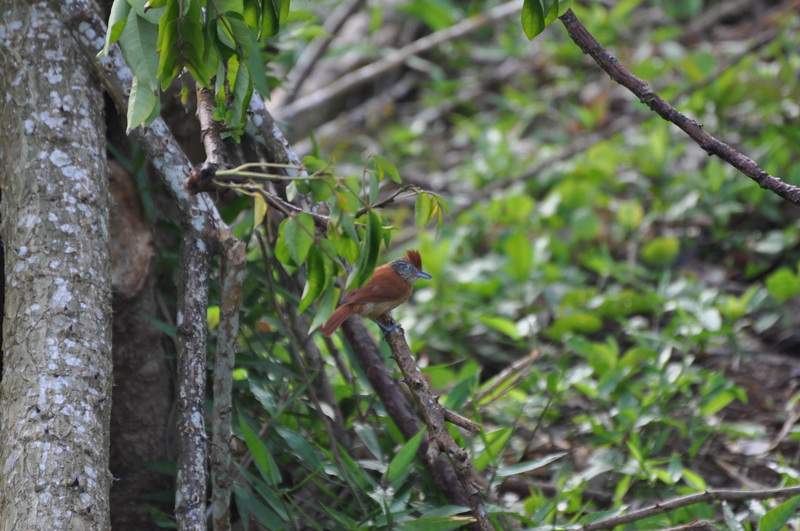 Seen on our trip in Panama but not with the ant swarm–this cute pair of White-bellied Antbirds–we saw the following day. It’s not a great shot at all, I know. ← Oh little birds, why must you hide from me? 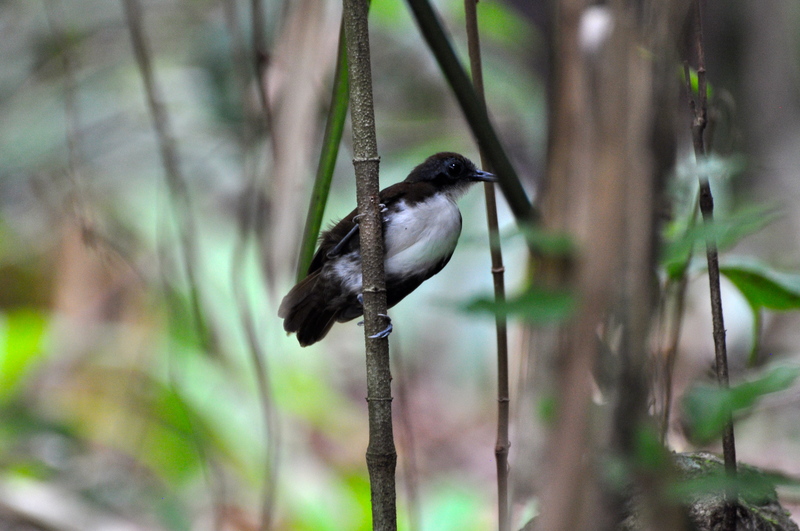 My husb, Steve, has by DYING for me to do the antbird post and write about army ants. He can now sleep a happy man. I’m glad you found it interesting.